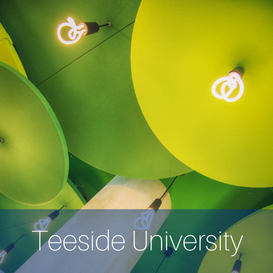 The SoundDeck CLD Floor and Ceiling SoundproofingSystem comprises a timber based, high performance overlay board and an innovative acoustic ceiling hanger to provide exceptional acoustic performance in new build joisted floors. 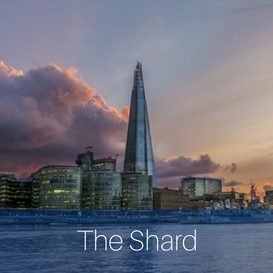 The system has exceeded the requirements of Part E (England and Wales) and Section 5 (Scotland) and can achieve up to 3 Code credits on a PCT basis. The single layer acoustic floor uses proven damping technology, is solid underfoot and fast to install. 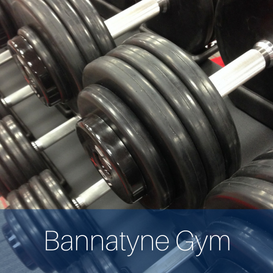 Made from timber products it is sustainable and avoids the Health and Safety issues associated with dust generated by cutting alternative dry screed board solutions. SoundDeck Acoustic Hangers provide an acoustic ceiling with an integral void for services, avoiding the need for both resilient bars and a sacrificial ceiling. 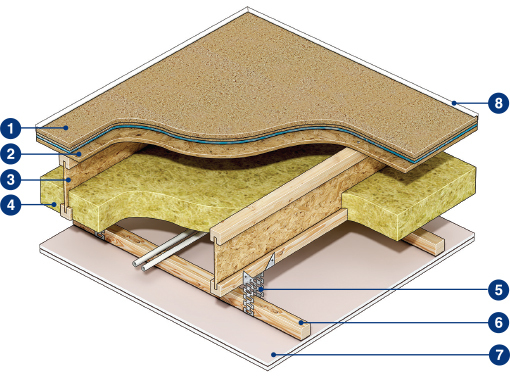 SoundDeck CLD boards consist of two separate layers of moisture resistant chipboard isolated but bonded together by visco-elastic sound damping strips with a resilient foam layer on the underside. The boards are 2400mm x 600mm x 36mm and are tongued and grooved on four edges. The patented Constrained Layer Damping technology damps vibrations and attenuates impact and airborne noise passing through the floor. 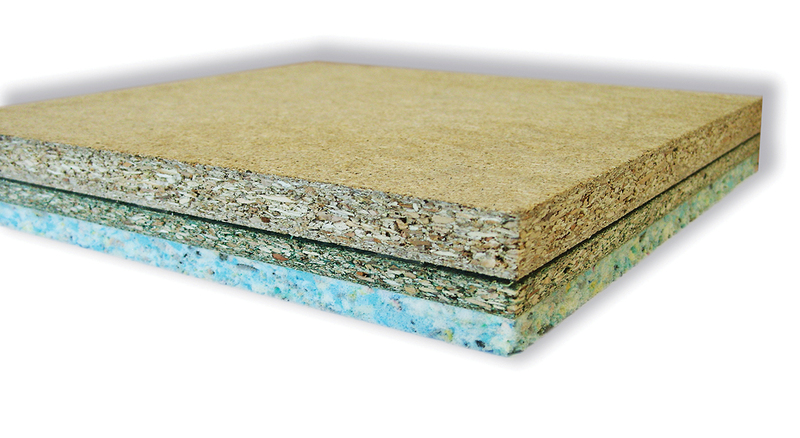 Floating Floor Treatment SoundDeck CLD Board 36mm thick. Floor Decking 15mm thick (minimum) timber deck. Floor Joists 235mm (minimum) timber I joists. 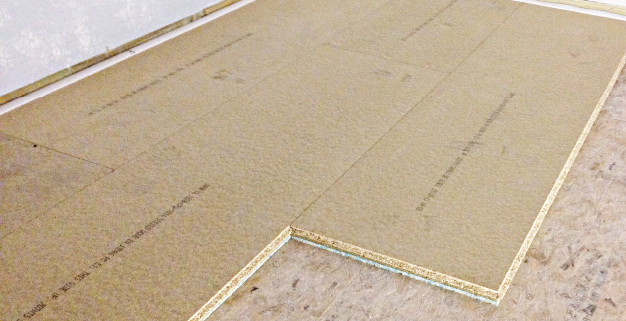 Absorbent material between joists 100mm (minimum) mineral wool quilt ( density 10-36 kg/m3). Ceiling Hangers SoundDeck Acoustic Hangers fixed at 600mm centres along I joists (and to within 150mm of perimeter walls) with 4 No. 3.5mm x 35mm woodscrews (to BS1202:Part 1:1994) per hanger. Ceiling Battens 45mm x 45mm C16 softwood timber battens screwed to hangers with 3.5mm x 35mm woodscrews. 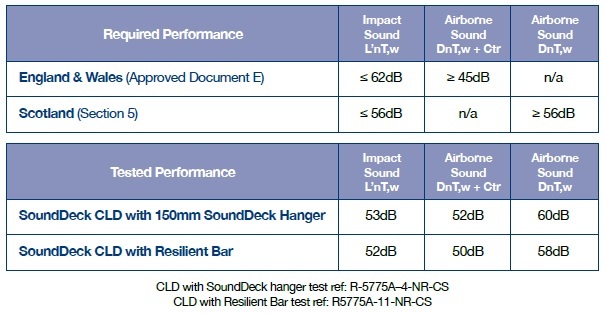 SoundDeck Acoustic Hangers can be spaced up to 1200mm apart along the length of the ceiling battens. Perimeter Flanking strip CMS Danskin `L` shaped flanking strip to perimeter. The SoundDeck CLD System has been demonstrated to exceed the sound insulation requirements of Approved Document E of the Buliding Regulations and Scottish Section 5 : Noise (2010). 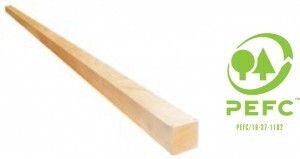 C16 softwood ceiling battens are screwed into the SoundDeck Acoustic Hanger with 3.5mm x 35mm woodscrews to BS1202:Part 1:1994.The ceiling battens are 45 x 45 x 2400mm for ease of handling and are PEFC Certified as standard. 6mm thick preformed `L` shaped acoustic foam supplied in strips 1.8m long packed in bags containing 100 linear metres. The strip prevents contact between the floating floor and the perimeter. It is lightly trapped between the bottom of the skirting and the top of the floating floor with the excess neatly trimmed of. CMS Danskin D3 adhesive is a high quality, resin based wood adhesive which provides a high strength impact resistant bond. 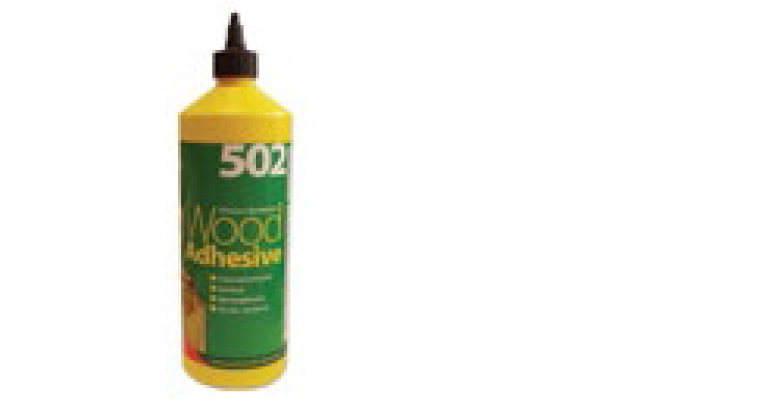 It conforms to the international standard EN204 (D3) and BS4071 for creep resistance and is supplied in 1 litre bottles.